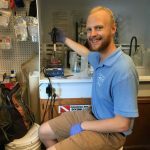 MASNA, the Marine Aquarium Societies of North America, is now accepting applications for its 2017-2018 Student Scholarships. 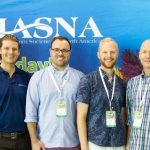 This is the 9th year that MASNA has offered the contest/program, and this year there are two scholarships available; one $4,000 scholarship for a college undergraduate student (incoming and current undergraduate students) and one $4,000 scholarship for a college graduate student (incoming and current graduate students). To be eligible for a $4,000 MASNA Student Scholarship, an applicant must be a current/entering undergraduate or graduate student at an accredited college or university. The student must have declared a major/focus or have intent to declare a major/focus in one of the marine science disciplines. 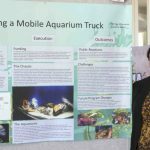 Selection will be based upon the student’s academic history and the student’s contributions and demonstrated commitment to the marine aquarium hobby. The ideal scholarship candidate: 1: Is seeking a degree in a marine science field. 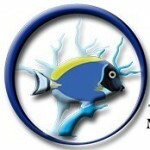 2: Is active in the marine aquarium hobby. 3: Will be a full-time undergraduate or graduate student in 2017 – 2018. 4: Has a GPA above 2.5 / 4.0. 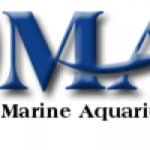 The 2017 – 2018 MASNA Student Scholarships will be publicly awarded to the recipients at the 29th annual Marine Aquarium Conference of North America (MACNA) in New Orleans, Louisiana, on August 25 – 27, 2017. Funding is available to assist each of the chosen applicants in attending MACNA. The deadline for submission is June 16, 2017.